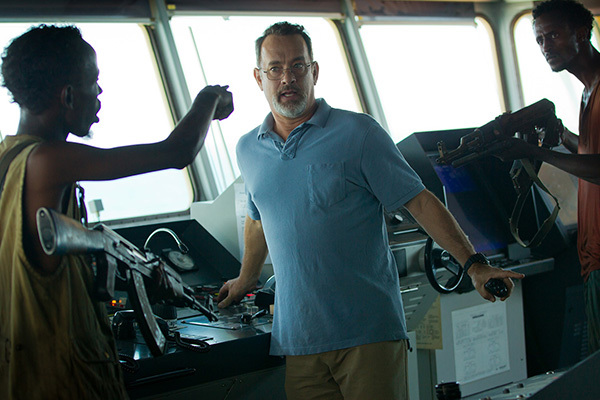 Survival at sea is the name of the game in “Captain Phillips,” based on the true story of the 2009 ship hijacking of the Maersk Alabama, obviously captained by Richard Phillips. The captain is tasked with getting the ship to Kenya, but in order to do so, he must make his way around the Horn of Africa, which, in recent days/weeks, has been inundated with pirate activity. These pirates are real menacing, and ready to seize a fortune. 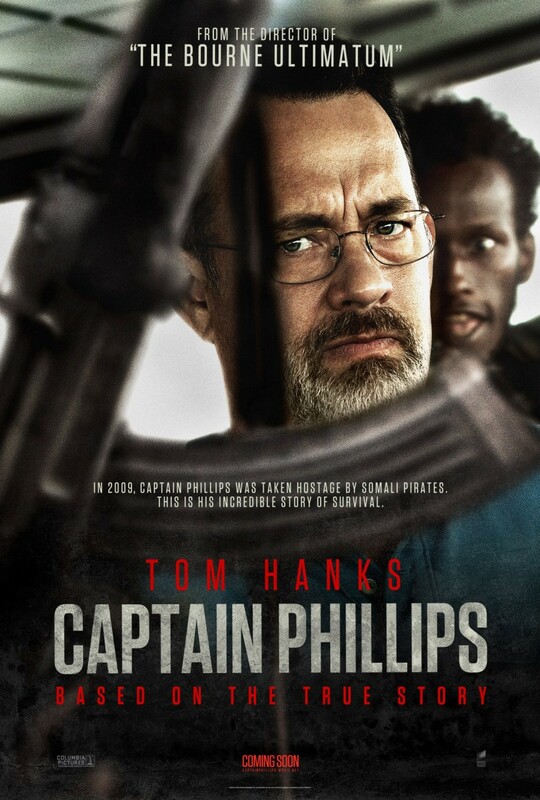 I was not able to see Captain Phillips in theaters, as I unfortunately missed the second run. However, I am not sure if it would have made a difference, as far as actual feel goes. Some movies are enhanced when watched in the theater, while others can serve the same experience from the comfort of your home. After finishing this film, I am under the belief that it is a good, solid film, but definitely not a great or stellar one, like some of its 2014 Best Picture competition. 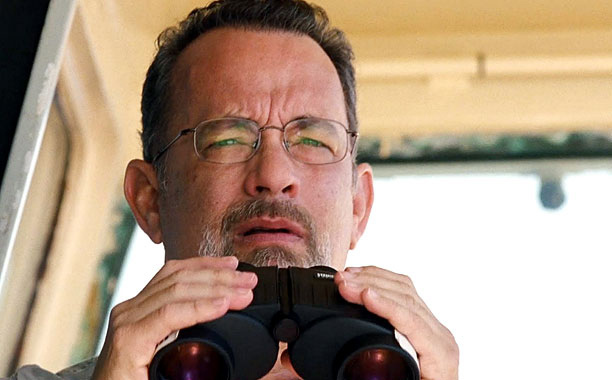 Tom Hanks does give a pretty good performance as the title character. At times, his plight was moving and engaging. But, aside from the last 15 minutes (which is amazing acting, and everyone I talked to/seen on message boards seems to agree), I wasn’t particularly impressed. His accent did seem to be hit or miss, and aside from the aforementioned 15 minutes, nothing stood out. There are quite a few people who seem to be up in arms that Hanks did not get nominated for Best Actor. Me? I have not seen Nebraska or Dallas Buyers Club, but Hanks’ captain role does pale severely when compared to DiCaprio, Ejiofor, and Bale’s nominated performances. 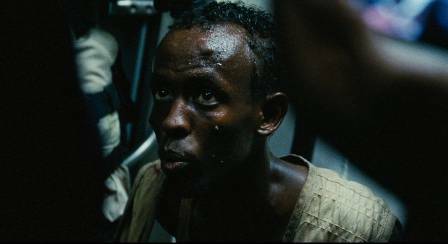 Much ado has been made of Barkhad Abdi’s job as Muse, the ringleader of the crew that infiltrates the carrier and the man that matches wits with Hanks. Count me as impressed, but not amazed. For his debut performance, he definitely never felt out of place, but again, solid if unspectacular. He did receive a nomination for Best Supporting Actor, and while it is hard to dispute his inclusion, the performance is kind of one-note. With that said, I am excited to see where he goes from here, as all things considered it was a damn good way to announce your arrival. Hanks and Abdi are the only real “memorable” performances; everyone else for the most part is just there, but I would be amiss if I failed to mention one of Muse’s henchman, portrayed by Faysal Ahmed. Like Abdi and the rest of the intrusive pirates, this is his first role. He is just so unpredictable and, at times, frightening. He brought a physicality to the role that the rest of the crew did not possess, and while this film is a vehicle for Barkhad, I could easily see Ahmed having the more lucrative career down the line. This movie is marketed as a drama with thrilling moments, but if I am being perfectly honest with you guys, I was bored out of my mind for half of this movie. Most of the dramatic moments did not hit home for yours truly, and while one or two of the thrilling sequences left me in a “WOW” stupor, the rest resonated in more of the “Ho-hum” variety. I’m not really sure if this story translates well to the silver screen. However, what struck the biggest nerve from my vantage point was easily the directing which can be summed up in two words: Shaky Cam. Director Paul Greengrass is noted for employing this technique often, namely in a few of the Bourne movies. I have never had a huge issue with it, as most of the films I have seen use it, such as Elysium and Cloverfied, for example, use it effectively in a way that makes sense. But, some movies overuse it, and this is one of them. I suppose you could argue that the director was going for a uneasy feel at sea, with all of the motion. All I’m saying is that it just felt unneeded, and a steady hand would have done the trick in my view. I guess this explains why something felt “off” when I saw the trailer repeatedly. A good chunk of this review is negative, but this is not a bad movie. It is just solid, which is probably a word that you have heard me say or allude too much to in this review, but I stand by it. This is just one reviewer’s opinion, and it is entirely possible you could find this film one of the decade’s best, and well deserving of a Best Picture win. Opinions are opinions however, and I will remain in mine. Underwhelming. Good review Jackson. Definitely the best thriller of 2013 because it never, not for a single second, ever let me go once it started to roll its wheels. Then, once it was all over, it struck an emotional chord with me so heavy and so powerful, that I was not expecting it one bit, but was glad to have it anyway. Thanks for the comment man. Maybe I have to see it again, but I just wasn’t in love with it like others. For my money, Prisoners was the best thriller of 2013. Hopeful to see Dallas Buyers Club in the very near future.